State Painting "Tenneessee Treasures" and "Tennessee Treasures Too"
Dollywood: Theme park in Pigeon Forge, Tennessee. Graceland: Former home and estate of Elvis Presley, located in Memphis, Tennessee. Grand Ole Opry: Concert hall in Nashville, Tennessee. Rock City: Garden in Lookout City, Tennessee. Great Smoky Mountains National Park: National park on the border of Tennessee and North Carolina. Ober Gatlinburg: Amusement park in Gatlinburg, Tennessee. Ruby Falls: Waterfall in Chattanooga, Tennessee. Nashville Zoo: Zoo in Nashville, Tennessee. Bristol Motor Speedway: Auto racing venue in Bristol, Tennessee. Memphis Zoo: Zoo in Memphis, Tennessee. Country Music Hall of Fame: Museum in Nashville, Tennessee. Cades Cove: An isolated valley in the Tennessee side of the Great Smoky Mountains National Park. Opry Mills: Shopping center in Nashville, Tennessee. Lookout Mountain: Mountain range near Chattanooga, Tennessee. Tennessee Aquarium: Aquarium in Chattanooga, Tennessee. Clingmans Dome: The highest point in the Great Smoky Mountain National Park. Knoxville Zoo: Zoo in Knoxville, Tennessee. Parthenon Nashville: Building structure in Nashville, Tennessee. Beale Street Historic District: A street in downtown Memphis, Tennessee. It was voted the most iconic street in America by USA Today. 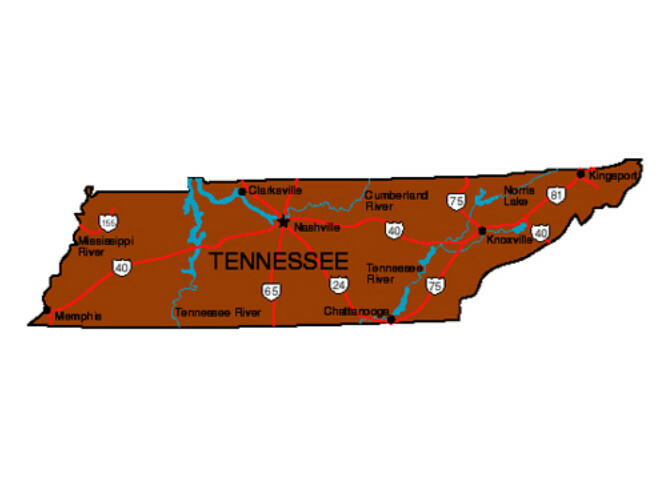 The state of Tennessee was named after a Cherokee town named "Tanasi," which is in present-day Monroe County, Tennessee. The true meaning of Tanasi cannot be ascertained, though it's been said to mean "meeting place," "wind river," or "river of the great bend." 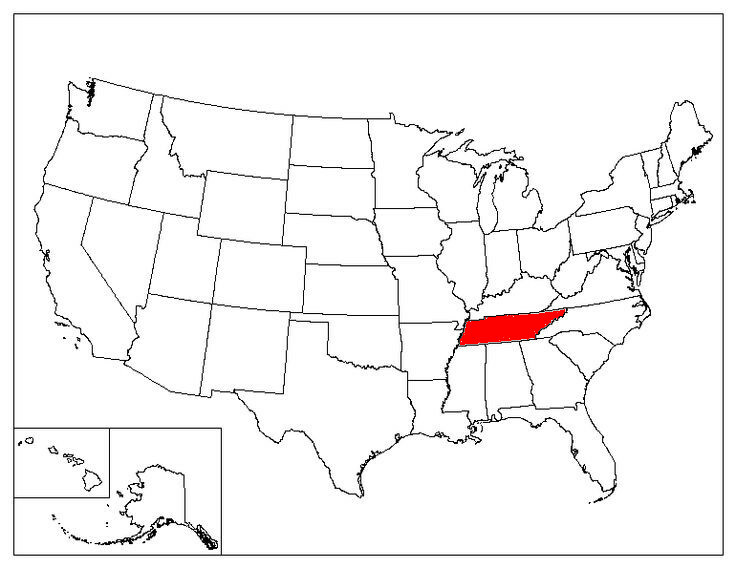 Tennessee borders with eight other states. This makes Tennessee, along with Missouri, the state with the most neighboring states. The Grand Ole Opry in Nashville, Tennessee, is the longest continuously running live radio program in the world. It has been live since November 28, 1925. Vanderbilt University, along with its affiliated hospitals, is the largest employer in Tennessee. The Manhattan Project was based in Oak Ridge, Tennessee. Memphis, Tennessee, is home to Graceland, Elvis Presley's former estate. Tennessee bottlers Moses and Ally Hartman developed Mountain Dew in 1940. Columbia, Tennessee, is the self-proclaimed Mule Capital of the World. It celebrates a city-designed Mule Day each April. Tennessee was the last state to secede from the Union during the Civil War and the first state to be readmitted after the war. Tennessee won its nickname as The Volunteer State during the War of 1812 when volunteer soldiers from Tennessee played a prominent role in the Battle of New Orleans.